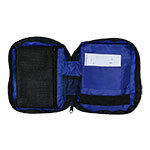 Medicool Blue Diabetic Supply Organizer - Blue. Constructed of durable nylon, the Deluxe organizes up to a 2-week supply of all your required diabetic supplies in a variety of pockets and storage compartments. 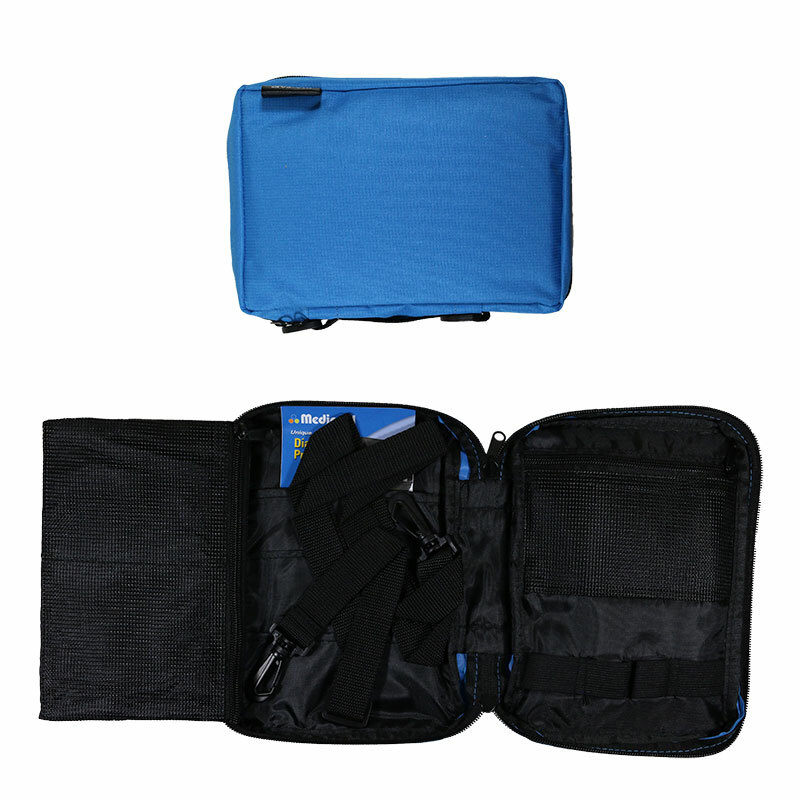 The Medicool Blue Diabetic Supply Organizer is constructed of durable nylon and organizes up to a 2-week supply of all your required diabetic supplies in a variety of pockets and storage compartments. 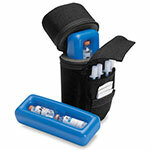 Get a free cold gel-pack keeps your supplies cool for hours and is easily refrigerated. 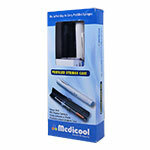 Water resistant and extremely durable, the Medicool Deluxe will give you years of service. Size: Size 6" x 8" x 2½"
I purchased the Delux travel cooler for normal running around town and it has served my purpose very well. I can see mysely using it for more extended travel times. It's very compact, yet holds a lot of supplies. 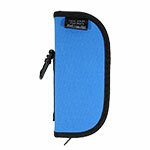 Its easy to set up with multiple inside pockets. 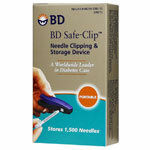 I recommend this to anyone for their medical use wether it be for local traveling around or extended travels. Great purchase.